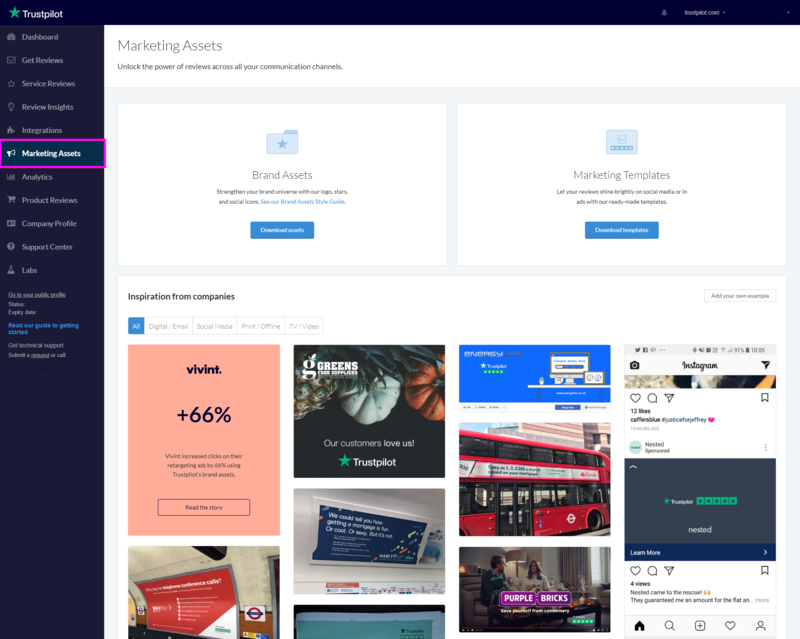 Trustpilot's Marketing Assets help you showcase your reviews, TrustScore, or star rating across all of your communication and marketing channels. To get started, go to your Business Portal and click on the Marketing Assets tab on the side menu. You'll find our official brand assets (high-res and vector files), ready-to-use templates, as well as examples and inspiration from other companies. You can find guidelines on how to use our logo, stars, and social icons in your marketing in our Brand Assets Style Guide. Want to display reviews on your website? Look at our Service Reviews Integration Guidelines to make sure that you correctly implement your integration. Brand Assets - The official Trustpilot brand assets for digital and print. This package includes the Trustpilot logo, stars, and social media icons. Marketing Templates - Ready-made templates you can use to display reviews in advertising and social media. 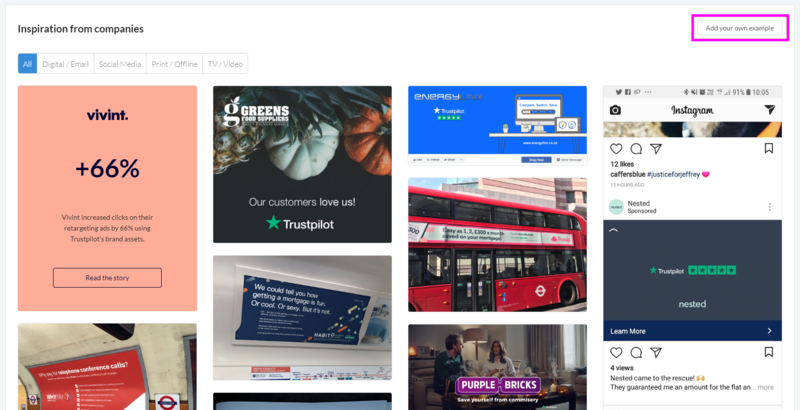 This section is filled with ideas, inspiration and examples of how other companies have used Trustpilot in online marketing, social media, print, offline, and TV advertising. You can also submit your own examples to share with other companies.